2004 Tour Northern California tracks. 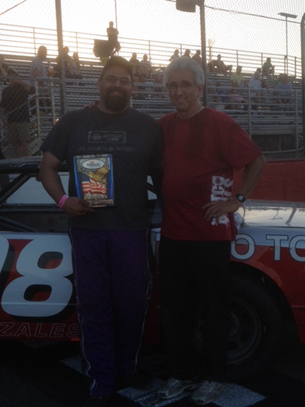 Won B Main at Shasta Speedway in Anderson CA. Took 2nd Place in the Street Stock Division for the 2000 season. Awarded Sportsperson of the year 2000 at All American Speedway, Roseville, CA. Placed 5th in ProStock Division for 2002. Awarded Most inproved Driver for Pro Stock 2002. Click Here for RMG interview.